Even with the growing threat of e-cards, the greeting card industry remains very strong. According to the Household Volume Trends study conducted by the United States Postal Service (USPS) in 2010, U.S. consumers mailed more than 2 billion holiday greeting cards and more than 1.2 billion non-holiday greeting cards. The good news is — about 1/3 of these cards are created by freelancers. If you have the talent for photography, painting, calligraphy, and writing, the greeting card business may be the business for you. There are two ways to get into the greeting card design business: to freelance to a greeting card business, or to create and manufacture your own line of greeting cards. Freelancing to the greeting card companies is the easiest (and cheapest way to go). As a freelance artist or copywriter, you will submit your works to a greeting card design company. The advantage of being a freelancer is that you focus on the creation and design of the cards. The disadvantage is that you have to sell your services to a company who may accept or reject you. There are options to selling your card: you can be a “work for hire” or be a greeting card freelancer (whether you sell the writing, art work or both). You can choose to submit your works to the “big guys” where demand is bigger and more diverse, but where competition is fiercest. Or you can begin slowly by submitting your designs to mid-size and smaller companies, allowing you to learn the ropes in terms of working with editors, tackling assignments, and meeting deadlines. Work for hire means that your sell your creation for a flat onetime fee with no royalties. You basically sell all copyrights, renewals and extensions of that copyright. If you are a greeting card artist, you can work in any medium or style that you prefer – pastel or oil, abstract or impressionist, illustrator or photographer, sentimental or serious – somewhere out there is a company producing cards, calendars or wrapping papers in need of new designs. You don’t need to be a writer or even have a writing partner to submit material – if the company likes your work they’ll buy it outright, or possibly assign you a writer. Most designers license their work either on a flat-fee basis, or for an advance against royalties. Licensing gives a company the right to reproduce your design for a certain use for a specific amount of time in a particular market, such as North America or worldwide. The artist retains ownership of the image and can continue to license it for other uses that don’t conflict. Under a flat-fee basis, ownership rights are typically turned over to the publisher. For greeting cards, a flat fee generally ranges between $275 and $500. An advance against a typical 4%-6% royalty may run from $150 to $300. Payments vary from publisher to publisher, as well as by type and complexity of the artwork. You can also choose to do the entire card concept – both the art and writing. If you are doing the entire concept, you may be able to negotiate for a royalty arrangement of about 2-5 percent of gross sales. If you do well and the greeting card company likes your work as a freelancer, the greeting card company may offer you a retainer contract. This will allow you to receive a monthly advance or higher purchase fees in exchange for an exclusive working relationship. The disadvantage of course is that this limits your opportunity to find other markets and greeting card companies to work with. The payments and contracts depend on individual companies and their policies. It is important to remember that greeting card industry is a highly competitive business. To succeed as a freelance greeting card writer or designer, it is important to be prolific (yet consistent) and have the ability to take rejection. Rejection rate is high, often at 80-90 percent. Even a mid-size greeting card company can receive as many as 250 submissions per week from freelancers, containing an average of 10-15 ideas in each envelope. As soon as a rejection comes back from one company, write a new cover letter and send your samples out to the next one. Don’t take it personally! 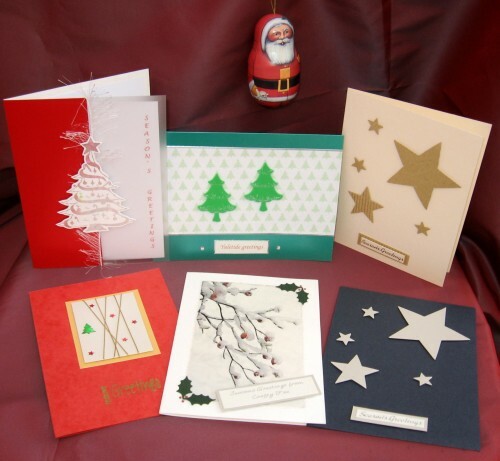 Greeting Card Representatives Directory – the Greeting Card Association sells a detailed listing of approximately 100 companies, individual sales reps and distributors, who represent greeting card and stationery publishers and distribute products at the wholesale level to retailers. Writer’s Market – while predominantly for book authors, this annual resource has a section on greeting cards where the greeting card publishers, contact person, addresses, telephone numbers and emails are listed. Check the websites of known greeting card publishers. One trick is to go visit your favorite store such as Target or Wal-mart and head to their greeting cards section. Make a note of the publishers of the various cards they carry, then search their websites in your favorite search engine. You can find the companies that look for greeting card artists in the annual publication Artists’ Market. It contains listings of companies along with a brief description of their requirements and submission procedures. For rates and other pertinent information, you can also check out The Graphic Artist’s Guild Handbook. Both books are available in most public libraries. Start by sending your potential contacts with a letter of introduction. Write the companies (or email if available) that interest you to request for guidelines. Always inquire first before sending samples of your work – some companies have their guidelines on their websites. Send only what the company asks for. Don’t waste your time and energy selling humorous pieces to religious publishers, or photographic work to fine art reproduction houses. Follow the guidelines carefully, and fine tune your submissions based on what the company wants. Let them know that you wish to develop a freelance writing or graphic creation relationship with them. Send them your resume detailing your background and skills. Enclose a self addressed stamped envelope and request them to send you with their latest needs and guidelines. Be sure to enclose a SASE (self addressed stamped envelope) with your request. Once the guidelines are received, follow what the company wants. Most companies require samples, and you can send a portfolio of four to six pieces. One important reminder: never send originals; instead simply send prints or high quality Xerox copies. If you are able to create the total card — artwork and copy — you may want to manufacture and sell your cards yourself. You will have total control of the product, and you will be receiving the entire profits. As your own boss, you have total control over what you want to create. No guidelines to adhere to, no editor to follow, and no bureaucracy to go along with. There is one important drawback, though – you are not focused solely on the creation aspect, but you need to take care of the supply chain, production, financing, marketing, selling, bookkeeping and administrative tasks. In addition to being the creator, you will be an entrepreneur who has to wear many hats. Manufacturing your own greetings card line is not easy, and you need to prepare for the challenges ahead. You can start by putting together some samples or prototypes of the cards that you intend to make. Determine what type of greeting card you like to create… inspirational, sentimental, and humorous. You can begin by creating the type of card that you like to read and receive. You can offer two products: standard set of pre-designed cards and custom-made cards. Your clients choose from the various designs that you’ve already created. You simply have to think of efficient ways of mass-producing these set of cards. It may look easy and fast when you only have a few to make but if a hundred people orders a hundred different designs you might have problems making them one by one. You can increase your chances of success by doing the right research. Study the various cards on the market. Visit local card shops to find the names of companies whose product line is compatible with the kind of work you do. Then take your list to the library and look up in the current issue of Artist’s Market to find out their submission procedures. You can get ideas from their submission guidelines. Learn what they’re looking for, study the cards they have on the market, and check out how they want you to submit your graphics or verses. Find out what’s working for them, and then integrate these lessons in your own operation. This will give you a firm idea of the designs that would be sellable to other people. You also need to know about the “technical aspects” of this business — where to sell your cards; printing and color; buying the right paper and envelopes; renting spaces and finding a sales rep or distributor. You have to experiment on various materials to come up with original designs. The more original your designs, the better alternative you are offering to the market, the greater your chances for success. You also need to have a good writer as your partner or as a business associate to assist you in producing the verses for the card. One advantage that could form an important part in your marketing plan is your ability to customize the cards according to what the customer wants. No matter how diverse the offerings of Hallmark or American Greetings, there are people looking to send special greeting cards not ordinarily found in the stores. They want highly creative and personalized cards – not the run-of-the-mill kind. This segment of the population could be your most important market. For the more upscale market, you can create one-of-a-kind cards sold at a premium price. Your clients can request you to create special works of art made from quality materials. To market your business, begin by showing your products to your friends and family. Show them to as many people as you can and invite their comments. Ask them probing questions whether it can generate interest and would sell. Perhaps you can work and promote your idea through “word of mouth” advertising and with help from your friends in your vicinity. You may also try to market your business over the web and create a specialized card service. You can show samples of handmade designs that people may select or customized. You can give the customers the option to select from a set of verses you already have or to write the verses themselves. This will entail the creation of an e-commerce store, which will need shopping cart, secure server for ordering, merchant account for credit card payments, and payment gateway. Some web hosting services, offer these services to their clients as well. Whether you are a freelancer or your own greeting card manufacturer, you need to understand copyrights, how to protect your work, and respecting other producers’ copyrights. Do not copy other cards or writings. Do not ever plagiarize. This will harm your credibility, reputation, and you may be sued. Research other cards, but do not copy what they look or sound like. Also, be careful in using images or famous lines from celebrities unless you have permission. Celebrities are typically very protective of their images (and rightly so) that will go after you with a lawsuit should you decide to use their name or likeness without permissions. Fictional characters such as Spiderman or Pokemon or Spongebob are also licensed and protected by their copyright and trademark ownership. Create your own character, but do not use existing characters created by others — unless you have purchased the rights or license to use that character (which can be expensive). Originally published February 2003. Updated May 1, 2012. Nach Maravilla is the President and CEO of PowerHomeBiz.com LLC. He has over thirty years experience in sales and marketing of various products, which covered as he jokingly describes, “from toothpicks to airplanes” He also had extensive experience in International trading and he always excelled in special promotional ideas for retail outlets. Great web page content is excellent I enjoy reading the particular articles in this article. Your web page also looks fabulous like anyone paid alot of money for a top-notch WordPress web template. It’s difficult to find knowledgeable people in this particular topic, but you sound like you know what you’re talking about! I really like what you guys are usually up too. This sort of clever work and exposure! Keep up the awesome works guys I’ve incorporated you guys to our blogroll. I like the valuable info you provide in your articles. I’ll bookmark your blog and check again here regularly. I am quite sure I’ll learn plenty of new stuff right here! Good luck for the next!